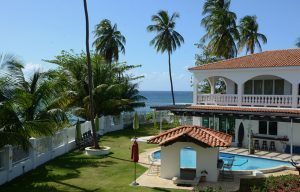 Located at the luxury Villa Playa Maria in Rincon, Puerto Rico, this one of a kind experience will allow you to explore your limits in and out of the ocean. 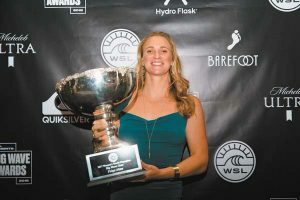 Hang with Paige Alms, Learn new techniques, try new equipment and find out what it takes to be the best female big wave surfer in the world. Open to intermediate surfers (can catch their own waves), this retreat will be focused around surfing and fun but will also include land and water training, learning big wave safety skills, mind preparation, big wave talks and even learning how to foil surf. This epic experience with Paige will flow around the swell forecast of the week, our day by day schedule being guided by the ocean and conditions. We believe getting to connect with Paige on a personal level as well as the other guests will make this an authentic and memorable experience that will inspire you for years to come. Depending on the swell and conditions each day we will surf different waves from perfect point breaks to fun beach breaks. We will have 2-3 surf or training sessions per day depending on the conditions and how long the sessions are. Board rentals are included, if you bring your own board the airline baggage fees are not covered. Video analysis is one of the most progressive ways to improve your surfing. 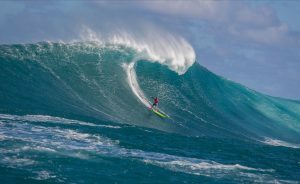 This technique is used by the most elite and top professional surfers in the world and has seen proven results. Joining Paige, Will Skudin and Skudin Surf coaches will film your surf sessions in full (from the beach or in the water), then bring your surfing into slow motion on our high definition screen where they can go through your waves in detail, pinpointing areas that need improvement. 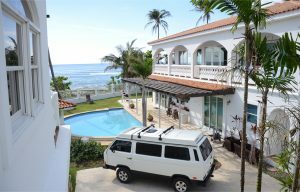 We will be staying at the beautiful, gated luxury Villa Playa Maria, right on the beach at Maria’s surf break. 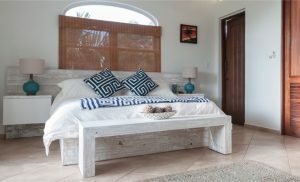 Features a pool, outdoor shower, indoor/outdoor kitchen and beach access. 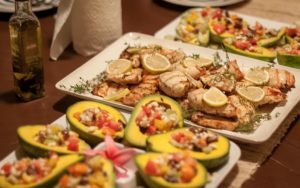 Fresh local food served daily. 5 Day, 4 nights $1950 ($450 Deposit, $1500 Cash) – price includes accommodation, all meals, snacks, transportation (including airport transfer), equipment and all activations. FLIGHT NOT INCLUDED, baggage fees not included. Recommended to bring your own surfboard, but surfboards will be available to rent at the local surf shop for $30 a day. Also recommended to bring your own reusable water container, Reef safe sunscreen, light wetsuit or rash-guard top, googles or mask, day-trip travel bag, head wear and sun glasses.